Motorola has released a bunch of videos on its Japanese site detailing the upcoming Android 4.0 Ice Cream Sandwich update for its phones. The videos are meant to highlight the changes between the current Gingerbread ROM and the new ICS ROM. We must say we are very impressed with what Motorola has to show here. While most of the other OEMs are busy slapping heavy layers of custom skin on top of stock Android, Motorola's is practically stock. Some of the additions Motorola has made include a new lockscreen. While stock ICS only offers you two option, Unlock and Camera, the Motorola ROM also adds the option to launch the dialler and the messaging app. Other changes include Motorola's standard set of icons that are unchanged from the current Gingerbread build. The Camera app resembles the current Gingerbread camera app but includes the options added in ICS such as timelapse mode. 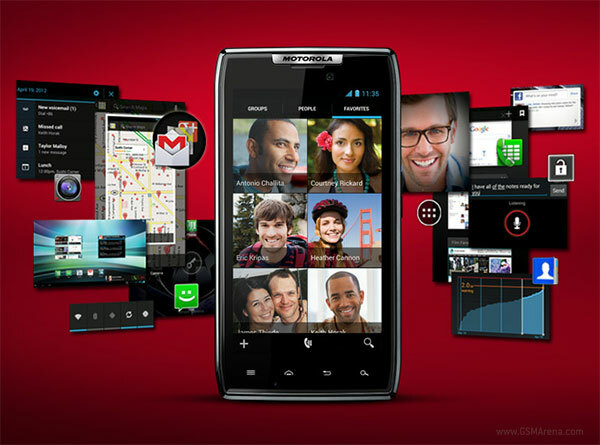 Motorola has also included its Webtop mode, which however, will be available on select phones only. Once you connect the phone to a TV or a display in Webtop mode, the screen UI resembles that of ICS' tablet mode and you can use your phone's display as a trackpad to control an on-screen pointer. Then there are also the usual ICS features such as homescreen folder support, Face Unlock, screenshot capture facility, resizable widgets, etc. You can catch some of the new features in the videos below but for the full set of videos click on the source link below. who has a motorola nowadays !? worse phones made ha!